Before Fresh Direct or Amazon Fresh, there was Eli’s Home Shop. 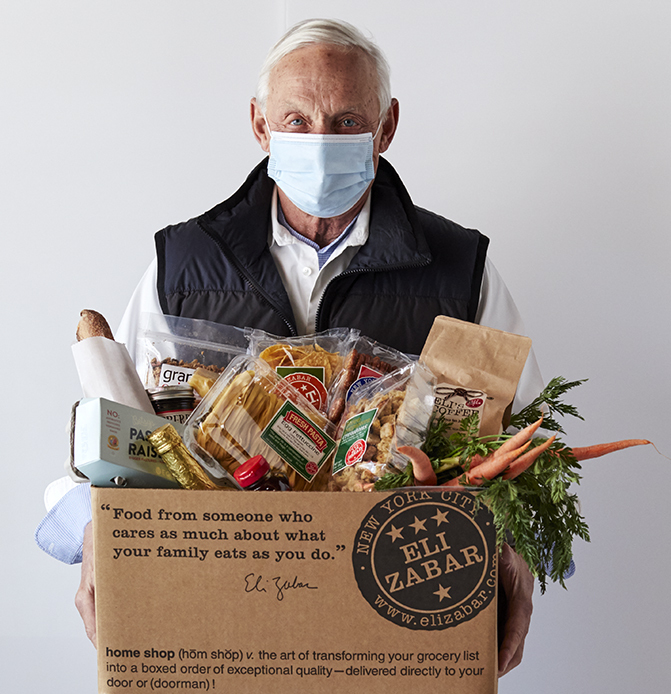 Introduced in 1999, Home Shop was Eli Zabar’s solution to shopping for quality ingredients, assuring New Yorkers all over the city that the best produce and prepared foods, a pristine fish market and an old fashioned butcher were only a phone call away. That tradition continues today, as we shop with Eli’s discerning eye and deliver carefully packed perishables to your door or doorman! Phone in your order by calling (212) 717-8100 ext. 219 to speak directly with one of our Home Shopping Specialists. Email your order to homeshop@elizabar.com or simply fill out the form below to automatically send your order straight to our Home Shopping Specialists. This service is available for same-day Manhattan deliveries year-round, and next-day Hamptons deliveries all summer. Delivery charges apply.